As North Metro members prepared for the 2019 Regional Contest, we were very aware that one of our founding members was not on the risers. Shortly before contest, our beloved 90-year-old ‘Sadie' passed peacefully in her sleep at Lakeridge Palliative Care Unit. There was not one day during her brief illness and hospitalization that Sadie was without one or more chorus members by her side. Funny chorus memories were shared and sometimes North Metro music was quietly played to her. Towards the end, her chorus friends just sat and held her hands, so that whenever she awoke she knew she was never alone. She knew how loved she was! Sadie was the first person new members saw. As one of North Metro's Assistant Directors it was Sadie who voice-tested chorus applicants. Many recalled how kind and supportive she was, with her warm smile, hilarious sense of humour, and that lovely Scottish lilt in her voice. She made the audition process as welcoming and relaxed as possible. It was after she emigrated to Canada from Scotland that Sadie met her husband John – also a barbershopper. They were married happily for many years until he passed. She used to say that she came all the way to Canada to meet and marry another Scot!! He was the love of her life, and had the same sense of humour. Listening to them chatting together was like watching a comedy show! Sadie's two younger brothers, whom she adored, remained in Scotland but visited her regularly. During the past few years, Sadie became acquainted with the laptop computer. We set her up with ‘Skype' so that she could Skype her brothers every week and speak to them every day! 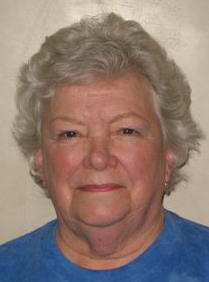 Sadie loved to make others laugh and over her more than 50 years as a North Metro member, took part in many skits and comedy performances in order to entertain the members. 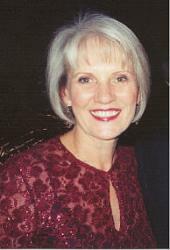 She emceed many chorus events and even directed the chorus during the wedding service of one of June Dale's daughters. 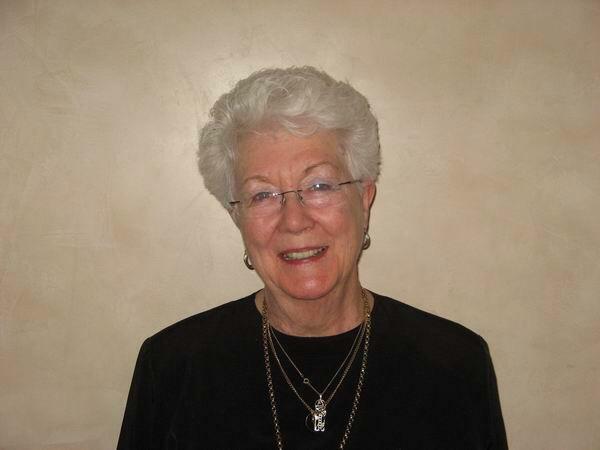 She spoke often about the joy that being part of North Metro brought into her life. We speak of the joy that she brought into our lives. We loved her, will miss her, and were blessed to have had her with us for so long! 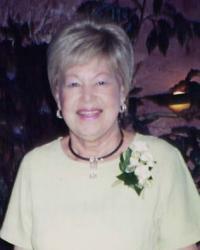 North Metro members were greatly saddened by the loss of our Founder and dear friend, Dorothy Hofstetter. North Metro began with some 15 or so members, in the basement of Dorothy's home over 40 years ago. What began as a seed became a mighty tree! 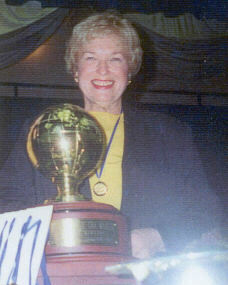 Dorothy spent her years in North Metro productively in many Board positions, including President more than a few times. 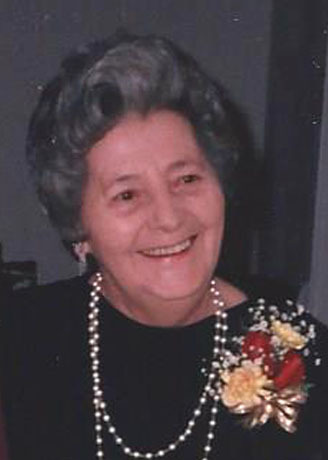 She was a friendly, personable lady who endeared herself to everyone she met. Dorothy was also very active in Region 16, performing the duties of the Official OPL (Official Panel Liaison) and came to be personal friends with many of the judges who came to our region to judge contests. Dorothy held this important position for some 12 years. North Metro will cherish all of the happy memories Dorothy left us. She was such a warm and caring personality and never failed to instill enthusiasm within the chorus members. Dorothy's husband Bill, a barbershopper of note, pre-deceased Dorothy by only a year and our thoughts and love go out to their family, two daughters Peggy and Kathy, son-in-laws John and Ed, and grandchildren, Megan, Michelle and Marcello. Dorothy will be greatly missed. North Metro Chorus members joined family and other friends at a graveside service on May 21, 2004 to say goodbye to our dear friend and chorus sister Wendy, who recently passed away at the age of 59. As in all things, Wendy's courage and tenacity had enabled her to fight a determined battle against breast cancer for many years before finally succumbing at home on May 19, 2004. Wendy's love of her chorus was surpassed only by her joy in performing in a Quartet, and many of you in Region 16 will remember her well as a member of both Quasar and Viva! After many, many years with North Metro, it was with great sadness that Wendy, a Harmony Award winner in 1988, had to resign from the chorus to concentrate on fighting her illness. Wendy's biggest weapon in her battle with cancer, besides her tremendous courage, was her sense of humour. One could not be around her for more than a minute before being overcome with laughter. Assistant Director Sadie Moore, Wendy, and I performed comic songs and poems for North Metro for many years. It was often difficult to get Wendy out of our rehearsal room – a fancy title for the nearest loo - in order to perform for the chorus, as she was usually so convulsed with laughter she couldn't walk. She used to say that she was sure we had more fun preparing the skits than anyone else had watching them. Many of you will no doubt remember Wendy's terrific performance as Fagin in our outgoing “Oliver” package! She was delighted when someone approached her and said they hadn't realised men were allowed in an SAI performance. Laverne joined Sweet Adelines in 1957 with the Oshawa Chapter. While with Oshawa, Laverne formed a young girls 4-part harmony chorus. Laverne's 3 daughters, nieces, chorus members' daughters & friends made up this good-sized group. Laverne taught the girls a few songs; they had a chorus costume & performed at a few outings. Laverne was also involved in a few quartets, always singing lead (or baritone when needed). 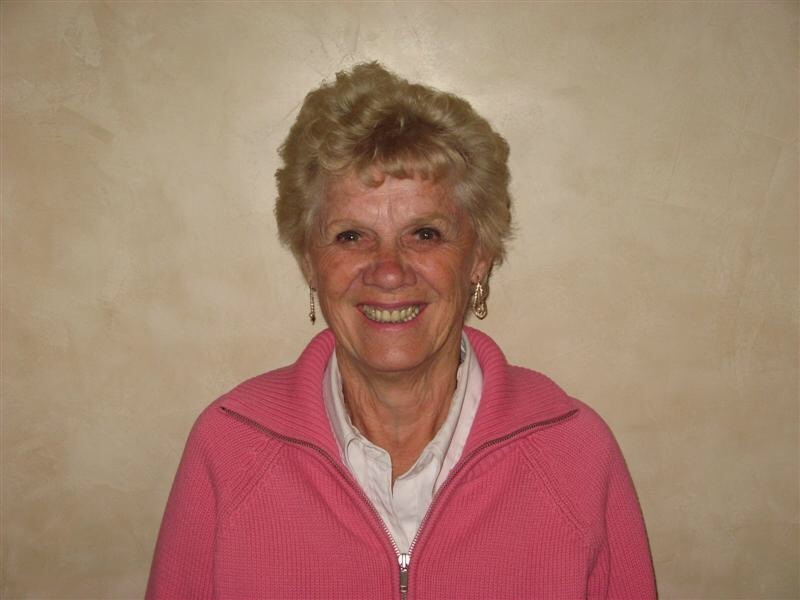 Through failing health, she still maintained her chorus membership, golf membership, oil painting with the Whitby Seniors' Centre, volunteered with St. Vincent's Kitchen ‘Meals on Wheels' program and music convener with her Church Choir. A ‘lady' in every sense of the word – Mary carried herself with dignity and pride. At Regional Conventions, North Metro members would be fascinated upon entering her ‘quad' room where she and her roomies would have a lace tablecloth set out, the lights off, china on the table, candles lit, quietly eating eggs, bacon, toast and fruit for breakfast. We never did find out how they managed that, but they certainly turned ‘rooming at convention' into a fine art. Mary came from a long line of ‘barbershoppers' and her nephew and great nephew today sing with MegaCity Chorus, while her great-great niece has just joined North Metro. Those of us who drove with her each week grieved as her sight failed and she began to slip away from us into that awful world of Alzheimer's. Eventually she was unable to come to chorus and she could not really remember her beloved North Metro. Jean was a member of the former Toronto Chapter and when it re-formed she joined North Metro, where she was a proud member for approximately 15 years. Justifiably thrilled with her Regional First Place Medals and International Gold Medals – she was equally as gratified by her annual ‘Perfect Attendance' Pins – which she was presented with for many years. Jean had two sisters and two sons. She doted on her family and the many family get-togethers they had. She often said her family was her real hobby. When one of her sons bought a home and moved away, he found another home in the area for ‘Mom and Dad!' Jean and her husband promptly purchased it so that family events could continue as before. It isn't easy for us to say goodbye to members of our chorus family. Jean – you won't be forgotten!